Who is Exploiting our Youth now? Home Albanian Blogger Who is Exploiting our Youth now? They are almost always free, innocent, oblivious, and look good if you line them up behind you when you’re giving a speech. You can find a lot of them in schools around the country and all you have to do is tell your politically appointed teacher or school director to round them up and bring them to your meeting. 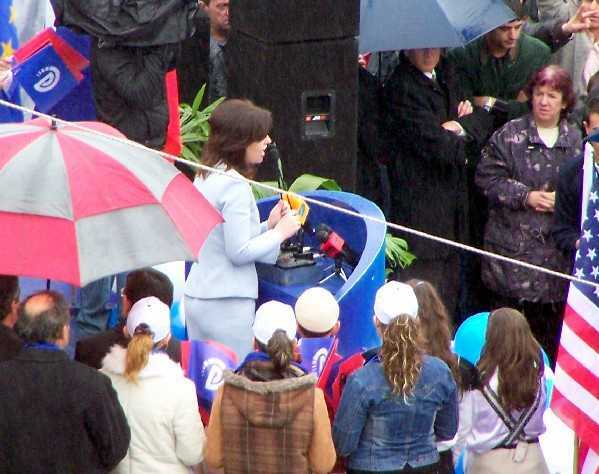 I am talking about Albanian youth and politicians who use them for their own political campaigns, thus exploiting their innocence and youthful look to decorate their political stages while they fill you with ‘hope’ about what they are going to do in order to get your vote. That is all that matters. Who cares if they are exploiting our youth and meanwhile saying anything necessary to ensure their own political future.